Kenneth Edore Egbaran is an insurance practitioner with over 30 years experience spanning reinsurance, underwriting and broking. 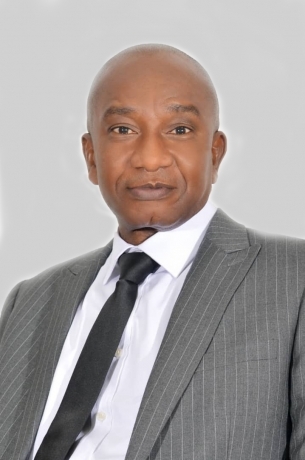 He started his career as a Senior Superintendent with the Nigerian Reinsurance Company. He was a Marketing Director at A&G Insurance, worked with Afribank Insurance Brokers and also with Crusader Insurance Limited (now Custodian Insurance Plc). Before his appointment as the Managing Director of Goldlink Insurance Plc, he was the Managing Director for Mainstream Global Insurance Brokers Ltd. He is an alumnus of the Lagos State University, where he obtained an MBA in 2008. Became an Associate of the Chartered insurance institute of Nigeria and London in 1986; and an Associate of chartered insurance brokers in 2004. He has at various times attended strategic, personnel and risk management courses both locally and internationally. Ken is bringing his wealth of experience in the various sectors of the insurance industry to bear in Goldlink Insurance Plc as the Managing Director.